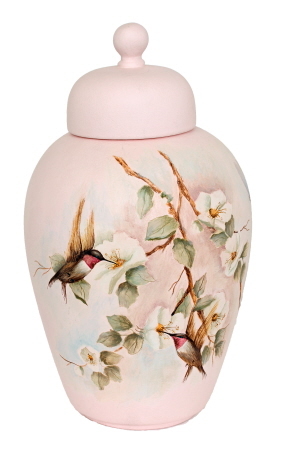 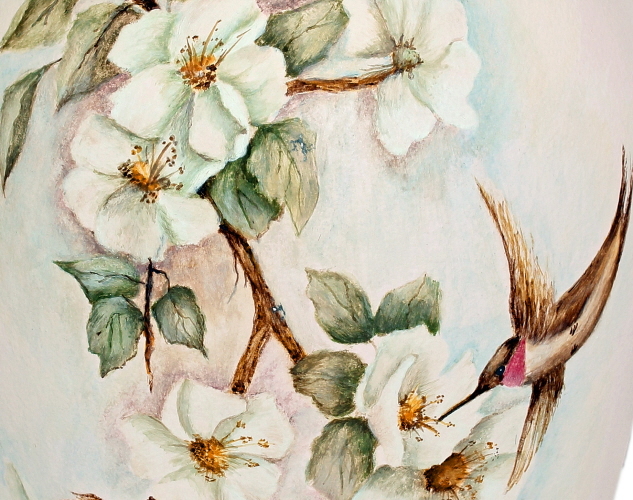 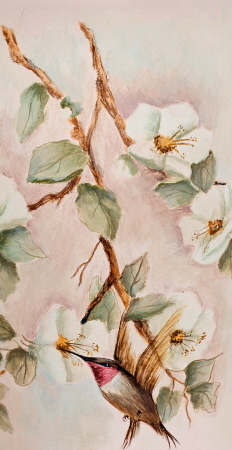 This fine porcelain urn is decorated in a Cherry Blossom design accented with a hummingbird taking a drink of nectar from one of the flowers on a delicate light powder-pink background - matt finish. 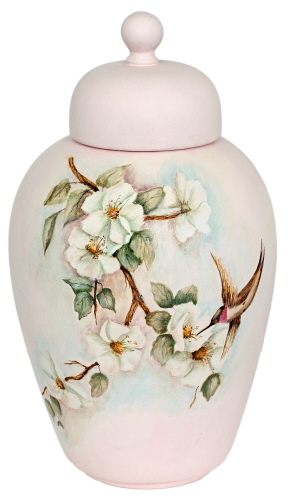 The removable lid covers a 2½" opening. 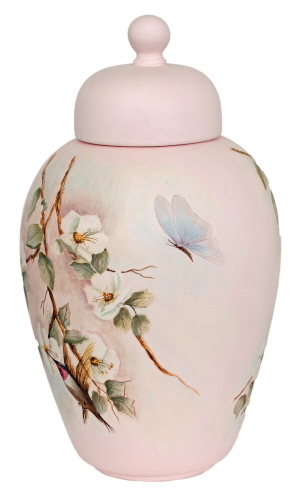 The height of the urn, with the lid, is just a little over 12" tall. 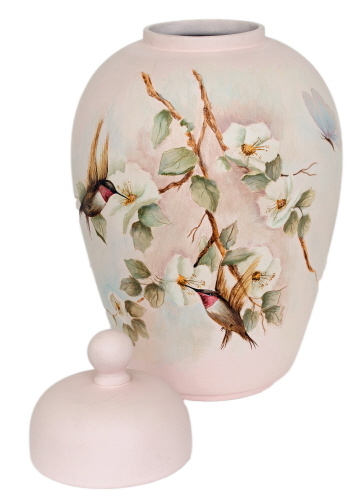 It measures about 22" in circumference at the at the top tapering to about 14" at the base.